After winter, you will want to get your car washed. This will help to remove any buildup of road grime, salt, and other pollutants. During the winter, the salt is put down in order to help remove the ice from the surface of the road. It can then get under your vehicle. As it sits there, it can start to eat away at the frame and cause rust to your vehicle. In order to keep everything in proper condition, having the car washed can help remove this. Also make sure to look for a car wash that has an undercarriage wash, so it removes the gunk from under the vehicle as well. You should check the tires on your vehicle on a regular basis. Check the air inflation so they are at the correct amount. This will help to ensure they can rotate properly. If a tire is low, it has a great chance of blowing out. Also check the overall condition of the tires. It should be free of any bulges or punctures. If there is a bulge in the tire, it may blow out as you are driving. 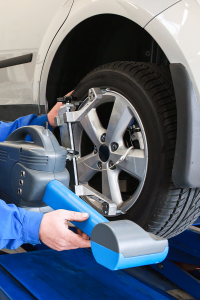 By inspecting the tires, you will notice an issue before it becomes serious. This entry was posted in Car Care Tips, Tire care, Tire Repair, Tires. Bookmark the permalink.